The One Room Challenge. It’s an adventure that’s led to some pretty great things for me over the last year, including being published in print twice with Style At Home magazine. Hello, happy dance! Photo by Ashley Capp, featured in the November 2015 issue of Style At Home magazine. 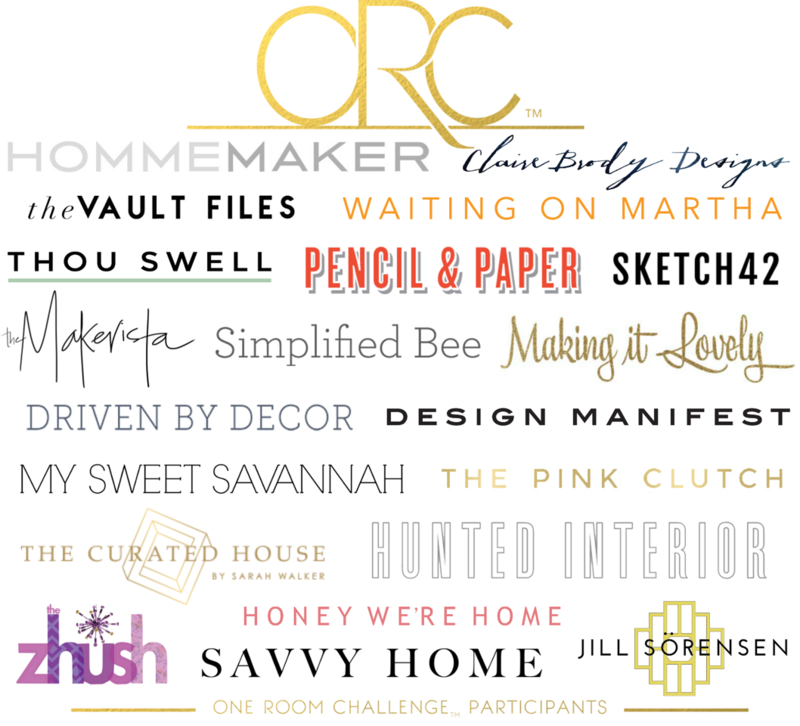 And now, thanks to the kind invitation of Linda from Calling It Home, I’m delighted to be one of the featured 20 designers for the Spring 2016 edition of the One Room Challenge. There are some incredible designers taking part in this round, so as much as I’ll be working hard on my own space, I’ll also be watching with bated breath to see the brilliance that these talented friends create. I’ve shared links to their beautiful blogs at the bottom of this post, and we will all be sharing our weekly updates for the next 6 weeks every Wednesday morning until reveal day. I can say from experience it will be the fastest 6 weeks to have happened in the last 6 months! Time to buckle up. For a more in-depth introduction to the One Room Challenge, hop on back to check out my Spring 2015 and Fall 2015 spaces. And speaking of introductions, it’s time to introduce you to the space I’ll be transforming over the next 6 (incredibly short) weeks! Having finished our family room in the last round, I can’t tell you how excited I am to finally get to our living room next. Our main floor being quite open concept, I’ll also be zhushing our dining room and kitchen, and I am beyond excited to see it all come together. 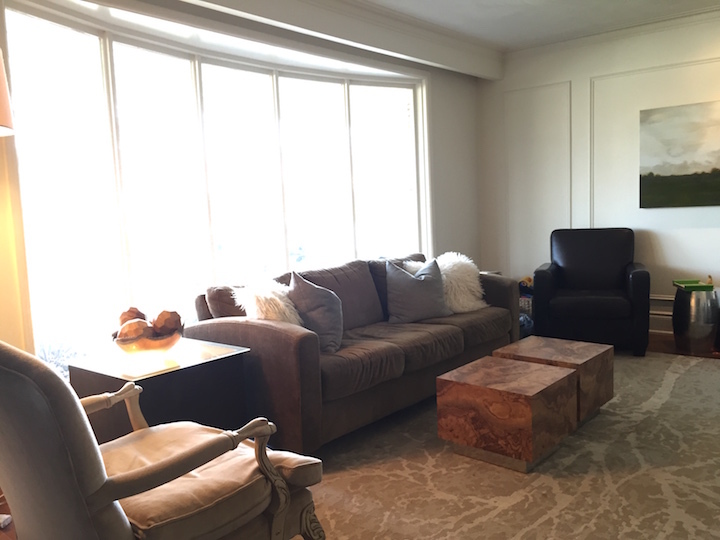 By way of a visual intro, here are just a few before photos of the living room space. 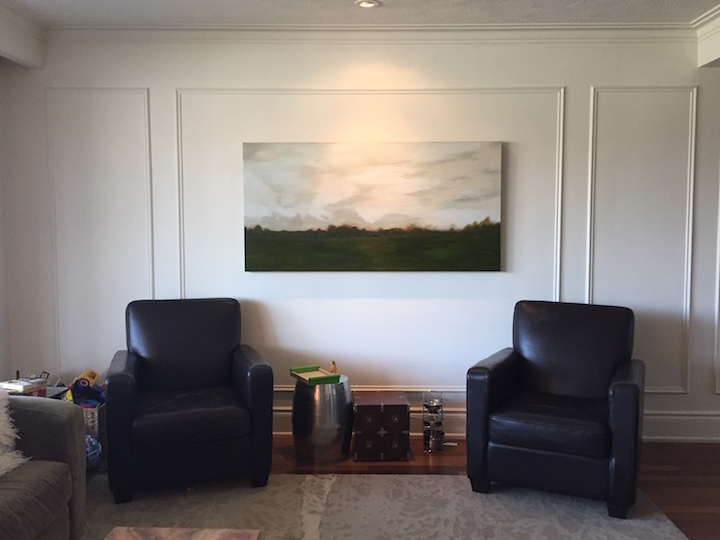 As you can see, we added some panel moulding to the walls when we moved in, and that’s kind of where the decorating stopped for the living room other than the landscape painting which I painted myself when I finally got tired of looking at a blank wall. 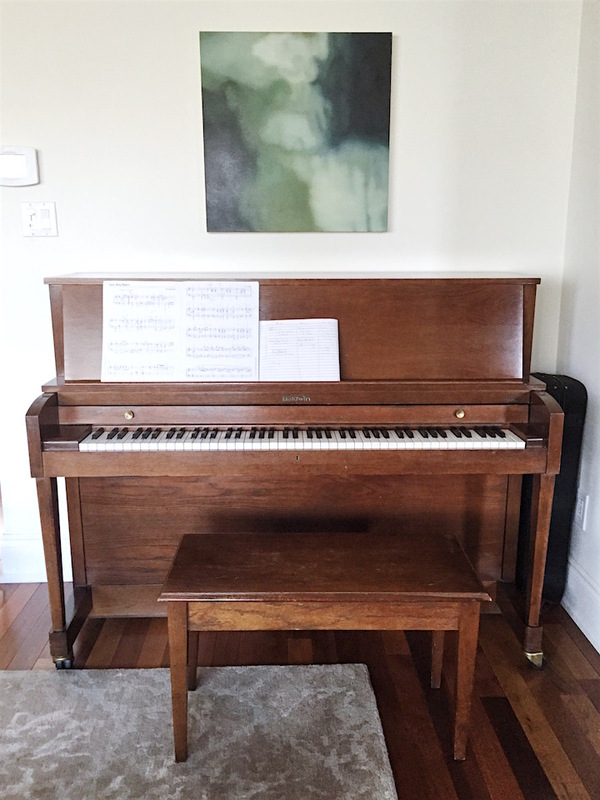 I’ve decided to move it to another room, which means that the only thing in the room that’s staying is the David Gillanders abstract painting that is currently over the old piano. Beyond that, it’s all going to change. In six weeks. And while I’m busy doing some meditative breathing over here, check out this sneak peek at my design direction for the new look. 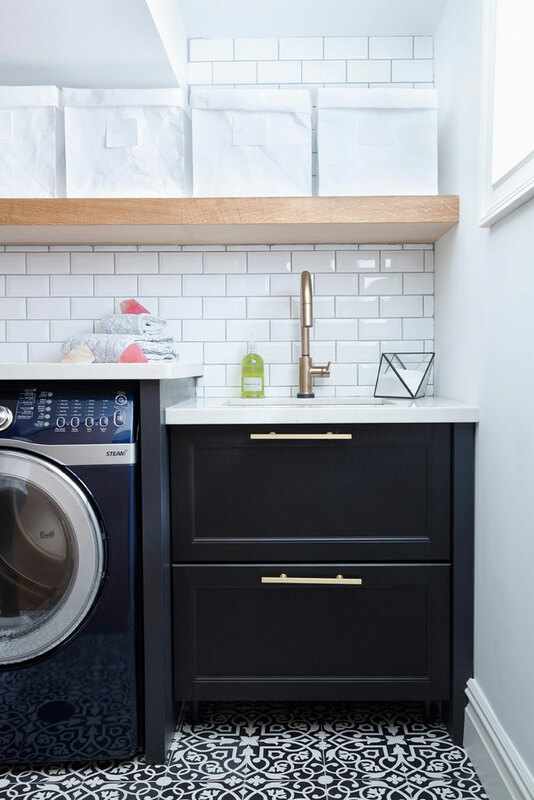 Next week I’ll share more of the details, including the fabric story and the before photos of the dining room and kitchen, but for now I’m off to tackle my to-do list to make sure I have something fabulous to show you at the end of these crazy-fast 6 weeks! 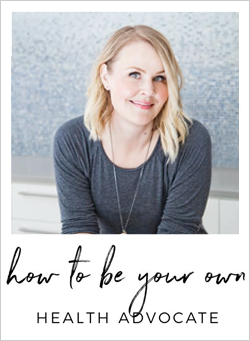 I’m so excited to have you join me for the process, and I promise to share some fun and unexpected DIY’s and design lessons along the way. PS: Still pinching myself over a client project being featured on the home page of Dwell yesterday! Check it out here. 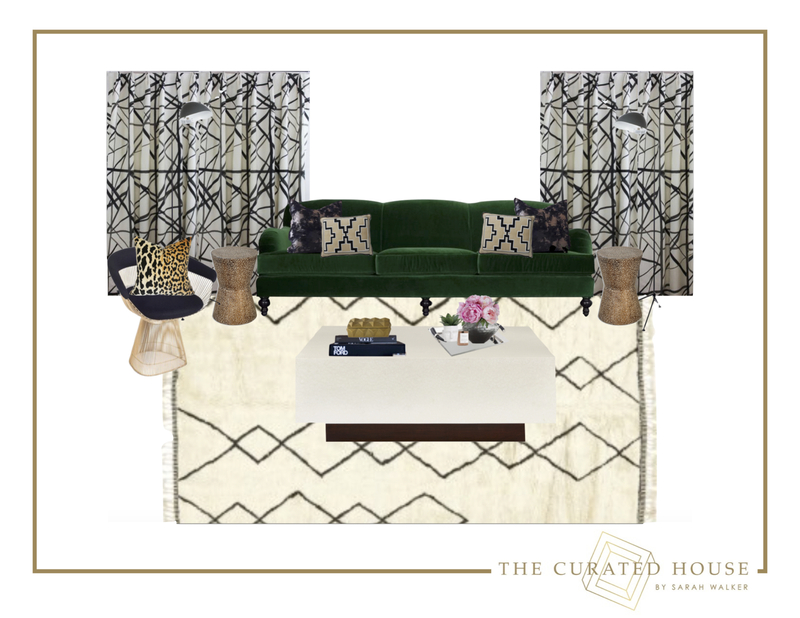 Can’t wait to see this great inspiration board come together….green sofa….hubba hubba! Can’t wait to see what you have up your sleeve. Going to be amazing! This room has amazing bones. Can’t wait to see more. So excited! I love the direction you’re heading with this! That paneling is amazing! And I am beyond on board with that green sofa. Can’t wait to follow along! I love the direction your taking here – great mix. Looking forward to seeing it come together. Congratulations on being one of the twenty designers chosen! Looking forward to following your wild ride. I did it last November and had a ball but too busy this go around. Good luck! What a great starting point and I love your mood board! I can’t wait to see what you do with this space. The items you have picked out for your design graphic look amazing and I can picture a very cool, modern space. I’m looking forward to following along! You have a lot planned! Love the molding and landscape you did; can’t wait to see the rest of the space unfold! Love the mix of prints in your design plan! Looking forward to following along! I love that bay of windows! And the emerald sofa is going to make such a statement. Can’t wait to see it come together. Wow!!! I can not WAIT to see this transformation. Great room!! It’s sure to be amazing and you’ve got good bones to start with. 🙂 Can’t wait to see it come together! Can’t wait! Love your current coffee table/s though! I know, me too, Vel! They are vintage and we are TOTALLY keeping them – just moving them to another space. But they aren’t quite big enough for this room and so something new and lovely this way a-cometh. Stay tuned…I hope you’ll approve. Gorgeous mood board! Can’t wait to see more! Wow! I love your Mood Board, so I think the space will turn out beautifully! 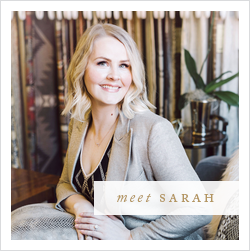 This is my first time participating as a guest, so I can’t wait to follow you 20 as you make-over your rooms! Best of luck! Gah! I love your mood board. I’ve been dying for a green sofa. Good luck and congrats on all the success so far. 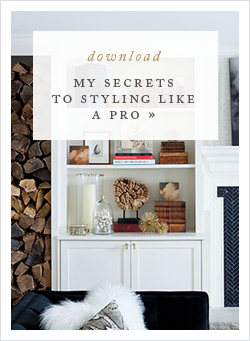 Sarah, I was so thrilled when I saw your ORC room published in Style At Home, congrats on your two features! Also congrats on being invited among the 20 featured designers, I was happy to see your name on the list. Looking forward to following along again, love your plan and can’t wait to see it materialize.